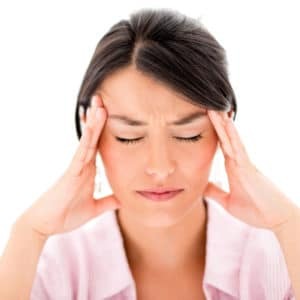 Headaches, migraines, clenching, grinding, broken teeth and other symptoms are often the result of unbalanced forces within the mouth, head, neck and jaw. Dr. Wang utilizes state-of-the-art examination and treatment technologies to examine and diagnose dental force related causes of head & neck pain. In less than 20 minutes, Dr. Wang can quickly and painlessly do an examination, provide a diagnosis and explain the potential reasons for your pain. Results will vary by patient, but for many, a painless examination by Dr. Wang can quickly determine if your symptoms can be resolved by a drug-free, needle-free system. All of the above symptoms, as well as others, can be the result of force related issues within the head, neck and jaw. The jaw joint (temporomandibular joint or TMJ) is the most complex joint in your body. It is located very close to 50% of all of your body’s nerves and right next to your brain. When operating correctly, the jaw and its muscles should painlessly exert massive forces within your mouth. Your jaw and teeth are living, growing tissues. Teeth grow, wear and move throughout your lifetime. They can become affected, like any other tissues, if the forces (muscles, tendons, nerves and ligaments) which power your jaw are unbalanced or creating improper forces. Trauma to the upper body can often cause chronic pain to the neck and head, both directly and indirectly. Alignment of the jaw, or issues with the teeth may arise from an injury, which may result in the pain propagating to the neck or causing chronic head pain. Poor adaptation to completed dental work, aged restorative materials, or poor adaptation of the patient to orthodontic changes, can all be causes of head and / or neck pain. If you are leading a stress free life, congratulations! You are less likely to have force related symptoms in your head, neck and jaw. For the other 99% of the world, stress and poor posture (such as from sitting in front of a computer for hours) can result in many of the symptoms outlined above. Weight gain and improper eating habits can also contribute to your head, neck and jaw pain. Start living the life you want .